An easy-to-edit dumping place for my SCA research venues. 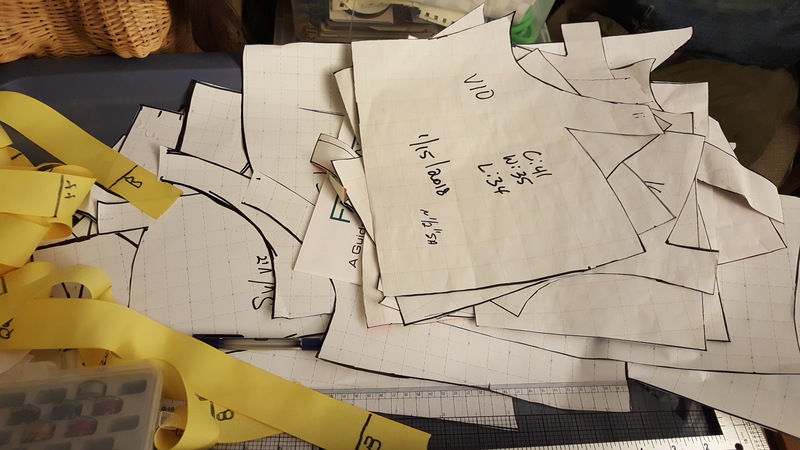 Pictured here is the amount of fabric I removed from both sides of ONLY the front pattern piece of the bodice that took it from “filling in the cone in a not entirely flattering manner” and “actually working as a flattering and supportive bodice”. Honestly I’m a bit gobsmacked that removing that little bit from each side was enough. The sliver is at most 1/4″ wide in the center. That little adjustment made to ONLY the front pattern piece suddenly made my breasts stay up where they’re supposed to be. Color me surprised. 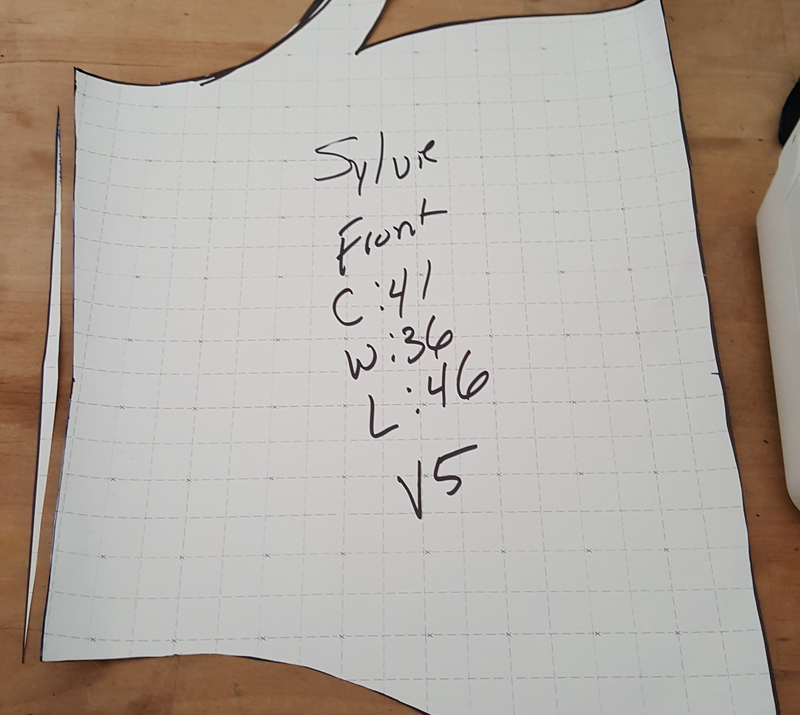 When I tried the pattern on I also realized the L value (46) is too long so I’ll be iterating this one more time with a shorter L value. 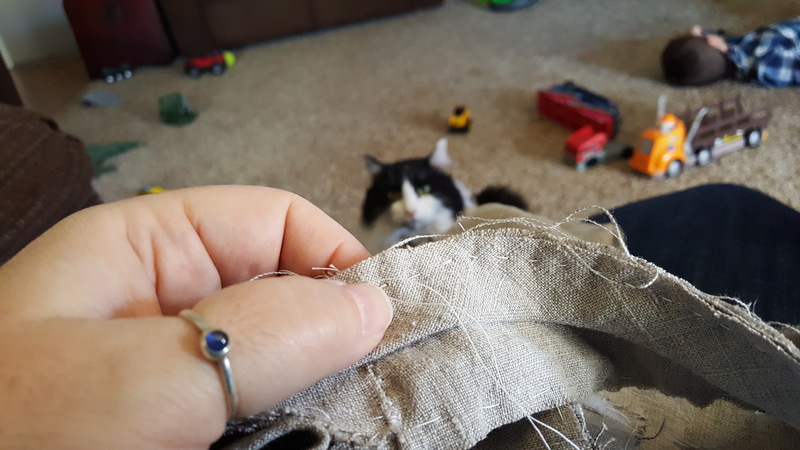 When I’d bend to the side there was about 2″ of bodice below the bend point. I mathed it and figured out that I’d need to use a Bara tape of about 40″ long to end up with an L that caused the bodice to end at/above my bend point. Starting with an L of 40, I then fiddled with the calculation Mr. Gnagy offered in his book and feel I may have backed into the way Bara tapes should be made for women. 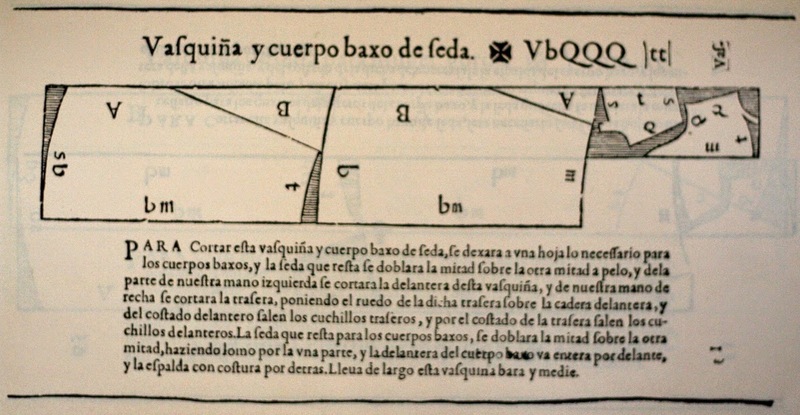 The calculation in the book starts with your height and then subtracts 9 inches to get the “Cloak length”. All the rest of calculations are based on this. I suspect that since women’s garments are floor length it may be that you have to use the full length rather than the cloak length when building patterns for women. When I omit this subtraction I end up with a final value of L=38.6 which would easily round to 39.. which is comfortably close to 40 for me to call that good. Research Dumping Grounds shared a post. 1. Pre-orders for this new book are only open until April 26. 2. I'm literally asquee over the bootie-socks both of the gals are wearing. There are for-sure going onto my todo list. I think Whilja's Corner was going to publish a pattern.. must go and hunt that down.This picture is my personal favorite out of all the woodcuts going into Landsknechts on Campaign. It is a section from a series of 7 woodcuts which make up a long strip, depicting the camp of the Landsknechts, as they are firing cannon on Munster, and mustering with pike and shot behind the front lines. I love the details of the women's clothing, the two different styles of dress, one younger and one older, appropriate for the age of the women, and also perhaps a bit of a class difference as well. They both wear little short socks, and are busy around the fire cooking, with their skirts tucked out of the way of sparks. I’ve often wondered if the large amounts of smoke from the fire depicts a fire with too much green wood, freshly scavenged from the forest. This woodcut series is the second one that Erhard Schöne did depicting the Siege of Munster, the first one showing the larger battle scene, which is also included in the book. Why was Münster being besieged? Ah, now that’s a crazy story! The short version is that it was taken over by a radical sect of the Anabaptists, who believed that if they could create a city of God, the forces of Satan would come to destroy it, the final battle signifying the end of the world would occur, and the Kingdom of God would be ushered in, as prophesied in the Bible in the book of Revelations. Among the beliefs of this sect were communal property, nudism, and polygamy. The Bishop Prince of Münster, did plenty to aggravate the situation and played right into the hands of the sect leaders. He eventually hired soldiers to go and get his city back, and thus Münster was besieged. Interestingly enough, although Erhard Schöne depicted the siege, he also produced rather complimentary woodcut portraits of the men who declared themselves the duke and king of Münster, which leads me to wonder if he supported them at first or not, and then changed his mind as they grew more radical. Orders for Landsknecht on Campaign are open until Friday April 26 2019, be sure to order your copy soon! Leaves of three, let it be. Hrm.. 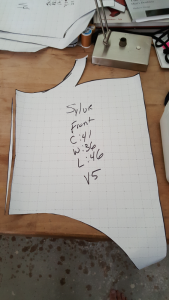 I just realized that in The Modern Maker vol 2 (amzn.to/2D7GdZX I highly recommend it) he updated his method for getting L to be "1/2 of your height" This puts my new L about 2" shorter than the old L I was using.. which factors in nicely with my note to self which says "shorten bodice by about 1/2 inch". Research Dumping Grounds is with Sylvie la Chardonniere. ...and now for something slightly different.These photos of the Trelleborg shield from our freshly published blog post (written by Rolf Warming, SoCA) are too good not to post here as well!